The past couple of months I have reviewed the Fourth Doctor coats on offer from Baron Boutique and Cosplay Sky. 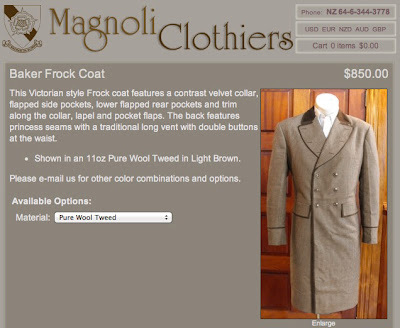 This month I thought I’d have a look at the options from Magnoli Clothiers. Based in New Zealand, Magnoli Clothiers makes reproduction vintage and popular film costumes. Garments are made in Thailand and India, with accessories and some leather goods made in America, China and New Zealand. 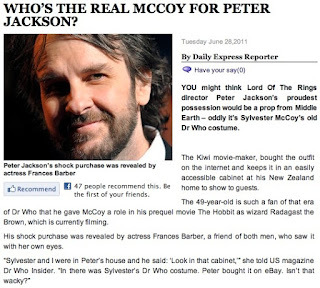 Originally making Indiana Jones costumes, they have branched out to cover a wide variety of film and tv clothes. 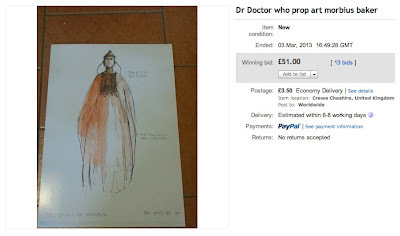 Currently the only Fourth Doctor item on offer is the season 16 Frock Coat. 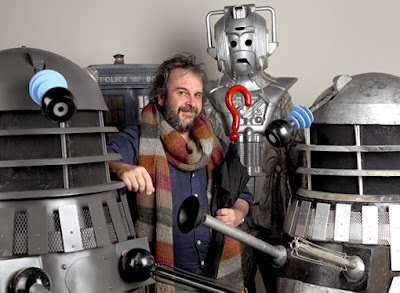 A version of the season 12 shooting jacket and the season 18 greatcoat were available, but seem to have been withdrawn from sale. Having seen the original coat on display at the Doctor Who Experience, I find it difficult to like this replica. My first problem is how the coat is displayed on the website. It is creased and crushed, in desperate need of a press or steam, making it look like its been rescued from a charity shop. It is shown on a mannequin, but is buttoned up - a state the coat is never seen in on screen, so makes it look even less like the original garment. So now I have that off my chest, what about the coat itself from a design view. The fabric used, though from a distance looking not a bad colour, is far fro the right weave. It is described as a tweed, but has a visible waffle finish to it which isn’t right. 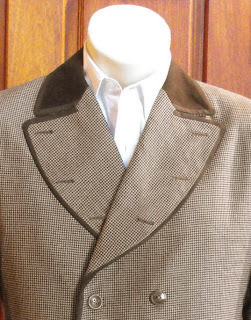 It lacks the weight of the Harris Tweed the real coat is made from and looks more like a suiting or jacket fabric. 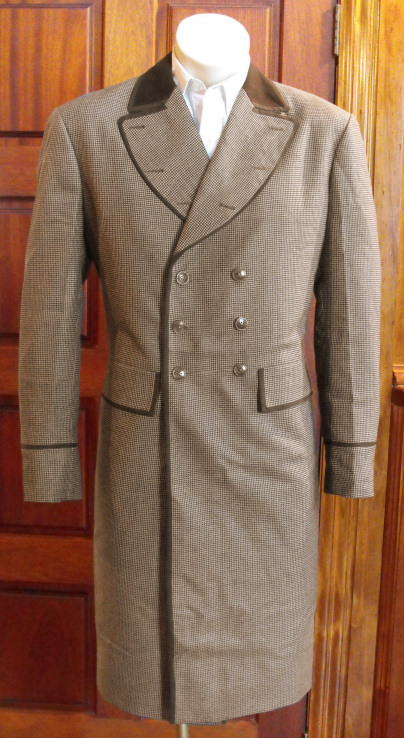 The cut of the lower part of the coat is too straight and doesn’t have the flare that a classic frock coat should display, looking more like a Cromie overcoat. The lapels and collar look way too small, and the waistline pockets by comparison look too large! Across the body of the coat, the placement of the buttons is incorrect, with them in two vertical lines rather than diverging. 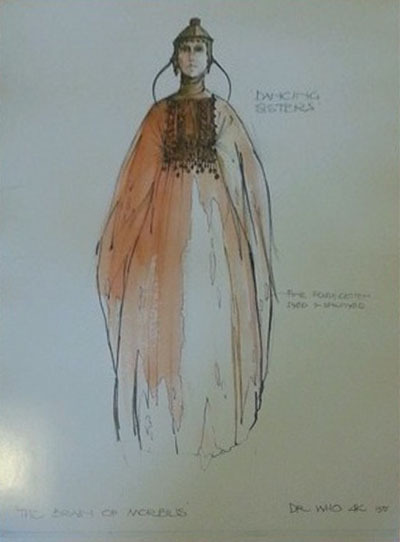 Again, if the construction of the coat was understood, this would not look like this. The trim is made from bias binding, which is a cheap alternative to the correct woven braid. The button holes on the lapels look too small and lack the impact of the original. Their placement is a bit off too, with the top-most too close to the lapel point for my liking. The back of the coat is unseen, so I cannot comment on if it has the correct large back pockets in the skirt; the princess seems on the upper back or have the right spacing of the waistline buttons.